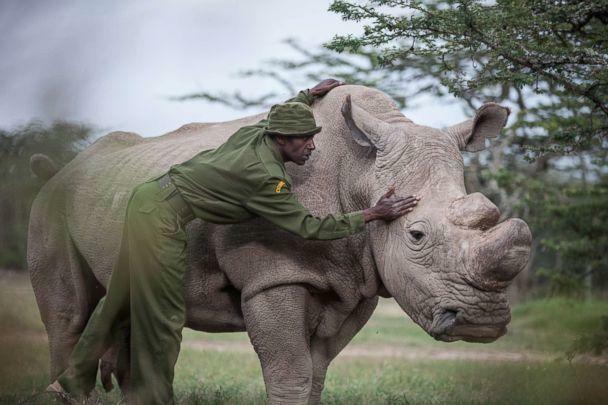 On March 20th the last male northern white rhino has died after health complications, leaving only 2 animals alive; a story that many if not most people will miss or perhaps dismiss. However, to do so is a mistake: a mistake that we will unfortunately continue to make. The reason that there are only two of these magnificent animals left is simple: human beings. This simple fact is sad, yes, but it is also disconcerting. For so many people an animal, far from their reality, that dies is a news item and nothing else. Their families, their jobs, their lives take precedence over the importance of a single rhino that dies thousands of miles away. But this death is important to us as a species: it represents our disregard for those around us and the world in which we live. With the passing of the last white rhino, our world becomes a little less interesting, and much less diverse. The world that we live in becomes smaller as our understanding becomes more narrowly focused. Selfishness is not a virtue that we can count upon to survive; human beings are not the center, focal point of all things. And so as another animal dies due to human action, this lesson becomes more important. But how can we take into consideration an animal that dies thousands of miles outside of our perspective when we cannot take into consideration those around us, those outside of our own families? This is, of course, a rhetorical question. To say that our families must always take precedence over all things is not enough. The kind of life we want our families to have is directly correlated to the kind of life we want everyone and everything to have and so as the world becomes a poorer place the quality of life is diminished; it goes quietly. Our decisions cannot in any moral sense be limited to our own narrow perspective; easy is not an option. Somehow we must realize that it is not the quantity but the quality of life that matters. Until this sense of virtue is understood there will always be a last man standing as the world putters by. One of the more difficult things to do is to explain to others what it is, exactly, that we do. As a newcomer to homesteading, this is especially difficult. Most people are not comfortable with the vaguely nuanced answers that sometimes come with homesteading. “I’m a farmer…”, you might begin. But, there’s more. What about the carpentry? the mechanics, the weather, the forest, the land? What about the canning and the cooking? What about the slaughter and the butchery? It takes a lot of work to eat; more than most realize. “I’m a homesteader…” you usually end up saying. But that is ambiguous and what about the money? Perhaps the issue and the real question is money: people want to know what you do to earn your living. Nowadays the new homestead is demanding some demolition: tearing out drywall and knocking down walls. Unscrewing screws and pulling up nails; there’s the cleaning up and the three dumpsters (so far). Leaving; there was no where. Looking; there was no road. The silence of the forest and the whisper of the wind off of the ocean; the mists off the mountain tops and the death of the desert’s heat; the man had been many places and was still looking. Still, looking. “I am still looking….”, thought the man, “still looking for my home.” The past in his pocket and the future on his mind he stilled his weary thoughts and lifted the weight once again of what would have to be done. The difficult task ahead, that he knew all too well, was once again upon him. “This is life.”, he said to himself as we walked along noticing all of the people who had there own pockets and pasts, their own illusions and dreams, their own weights to bear. And it showed in their faces and in their eyes. It showed in how they walked away and to, how they moved and sauntered; how they sat and slept as he past them by.